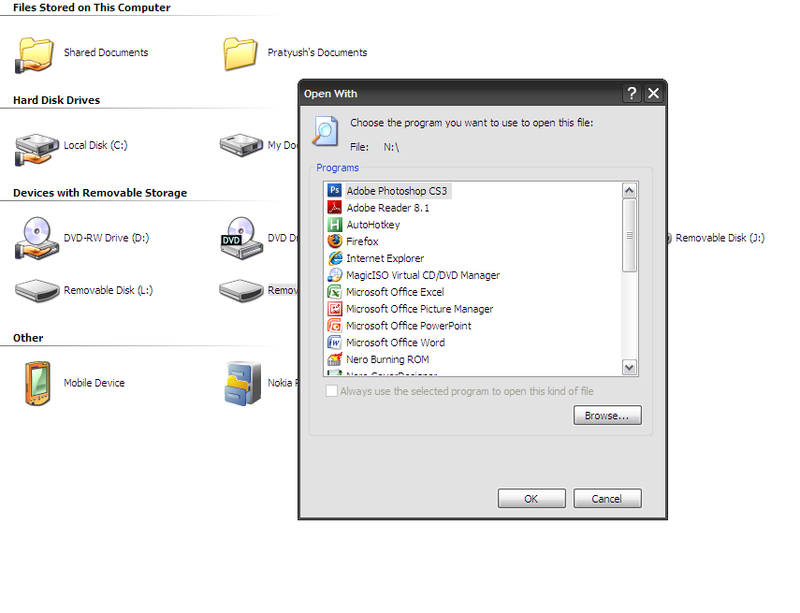 It is very common to get an “Open with” dialog on opening the pen drives. Often it is understood that this is due to a virus or an spyware. Most of the times it is true, but sometimes a simple error in the autorun.inf (hidden inside the pen-drive) file can also cause this problem. Virus or not, lets see what is the easiest solution. 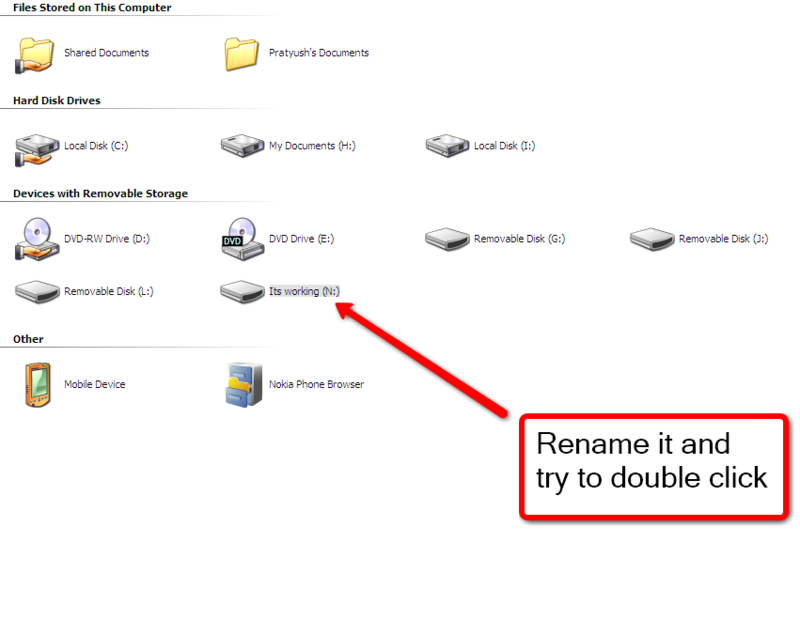 7) Now simply go and rename the original pen-drive label in My Computer. That’s it! The Pen-drive will start opening like before. N-Joy! Previous story Find Date when your Windows was Installed? It Worked Perfectly……..thanks a lot!! Any solution to fix pen drive errors? thanks, it realy working boss.